Tis the season…when many movie aficionados are preparing their “Top 10 Best Movies” of the year. Rather than make a list, I just want to share some cinema love and shine the light on a few worthy films that may have been missed in the deluge of blockbusters and sequels. For what is “best” after all? Movies are like wine. Your experience will not be my experience. I can no more tell you that this Merlot is the Best, than I can say that this Rom-Com is the Best–but I can share some of my cinematic highlights of the year and we can clink our glasses and toast to the joy of movies! Here’s to all the local film houses that feature art-house films and stirring (and challenging) documentaries and fabulous foreign films. For without these places, run by dedicated (and generally, underpaid) staff, there would be very little access to some of the best cinema. A big “Hip Hip Hurray” for all the film programmers at those small independent film houses and at film festivals all over the world. You are the champions of the independent filmmaker. You endure hours of mind-numbing, eye-searing bad films to discover the gems of cinematic wonder that must be nourished, promoted and shared. Here’s to you, fellow film lovers, who seek out the obscure, the retrospectives, the art films and the latest from our film auteurs like Wes Anderson, Richard Linklater, Jim Jarmusch and upcoming talents like Gillian Robespierre and Justin Simien. Together, we revel in each film restoration and together we celebrate our cinema history. Thank you for making it a point to see these treasures in the old movie palaces, single screen local movie houses and/or libraries, art galleries and yes, even pubs! You keep cinema alive by voting for it with your hard-earned dollar. Thank you for crowd-funded films and new modes of film distribution that are making access to film easier and ensuring that filmmakers have new platforms to explore. Some of my top film experiences this year include seeing the wonderful Skeleton Twins at SFIFF with director and stars in attendance, getting to witness the standing ovations at MVFF for some compelling documentaries (Capturing Grace, Gardeners of Eden) and discovering the fabulous animated Miss Todd and meeting the hilarious and talented, Suzanne Heintz of Playing House at Women + Film Voices Film Festival. There I also got to see Obvious Child and was blown away by the performance of Jenny Slate directed by Gillian Robespierre. 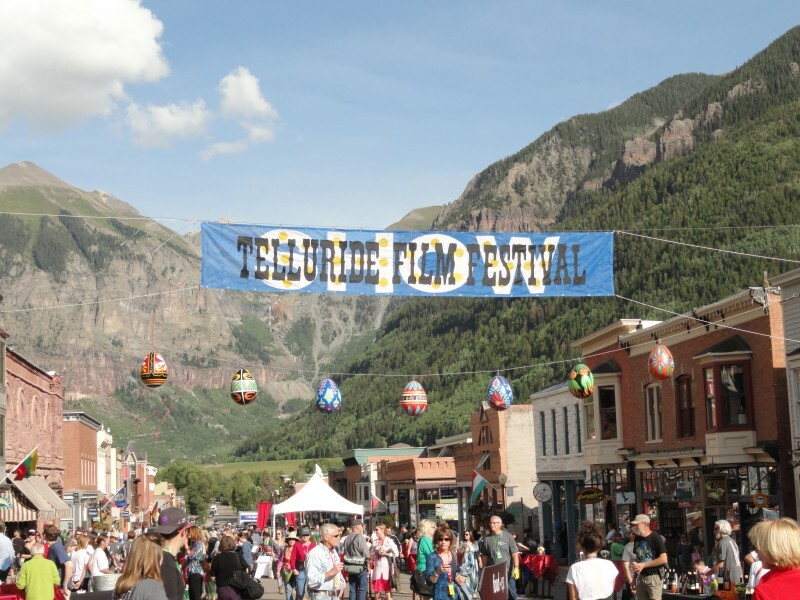 I finally made it to the Telluride Film Festival and that was my cinematic highlight of the year! I loved everything: the people attending, the quality of the programming, the comradery, and the beauty of the setting. I felt I could literally and metaphorically touch the stars. There were so many famous filmmakers within arms reach and being in the mountains–with the starry sky like a sparkly velvet scarf above–was a heady and transformative experience! My vote for the most fun at the cinemas this year would be with Guardians of the Galaxy — a fun 70’s soundtrack, great characters featuring a story with both heart and action-packed thrills. The Lego Movie was particularly fun for me because the person I went with enjoyed it so much, he couldn’t stop laughing. It was also great to see a preview screening of The Imitation Game with the hundreds of staff and crew at Telluride, and then meander into the charming town discussing it’s merits with other film buffs over a late-night whiskey. 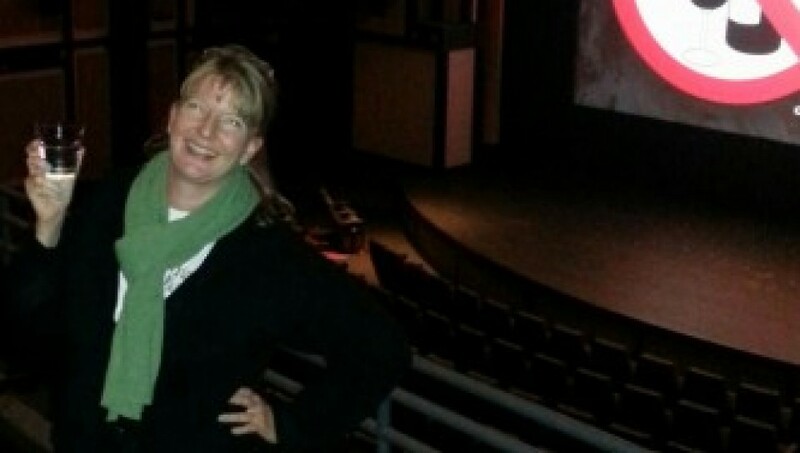 A highlight of my film festival career was programming and producing my first film festival, Front Range Film Festival here in Colorado. 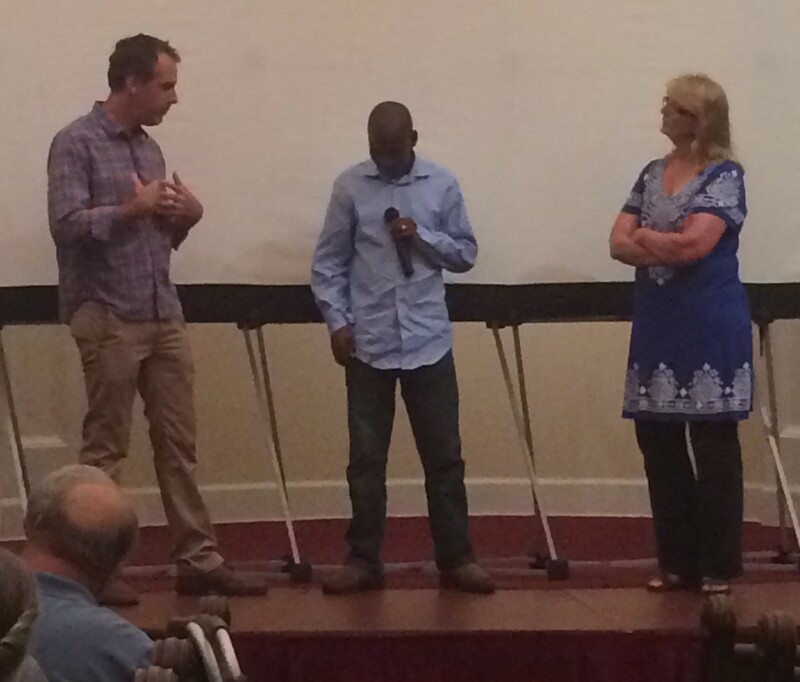 It was amazing to be on stage with director Andrew Mudge of Forgotten Kingdom, and have someone in the audience in this little town of Longmont, CO say that he was FROM Lesotho, Africa. The audience was charmed when I invited him onstage so he could compliment the director on his accuracy at portraying the culture there. Two of my favorite films of this year would make a great double feature: Finding Vivian Maier and Ida. 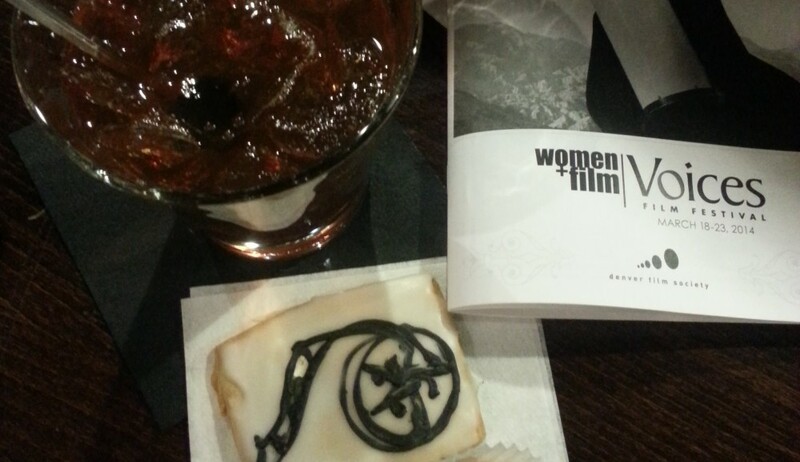 I previewed them in January for the Boulder International Film Festival and it seems like sooooo long ago. Both feature amazing photography; Vivian Maier’s photos of people in 1950-60’s Chicago and the beautiful black and white cinematography of Ida. Compelling stories about amazing women, both films have received awards on the festival circuit but they deserve a larger audience. Obvious Child was just nominated for a well-deserved Spirit Award; I hope more people will see this darkly comic, honest portrait of a woman. It’s a film with someone making the choice to end a pregnancy without making that the focus of the movie. There were so many gems this year: The Lunchbox, Love is Strange, Only Lovers Left Alive…I enjoyed reading about films other critics felt didn’t get their due: Top 10 Catch-up. There were also lots of films I didn’t get to see yet but that I know I’ll love. I’m not a film snob but I do love all the wealth of amazing “Oscar-caliber” films that get released around this time of year. I’m looking forward to Mr Turner, The National Gallery, the last installment of The Hobbit and even Horrible Bosses 2. So many films, so little time..and so many reasons to be GRATEFUL! This entry was posted in Uncategorized and tagged Finding Vivian Maier, Front Range Film Festival, Ida, Miss Todd, MVFF, Obvious Child, Playing House, SFIFF, Women by Jill. Bookmark the permalink.